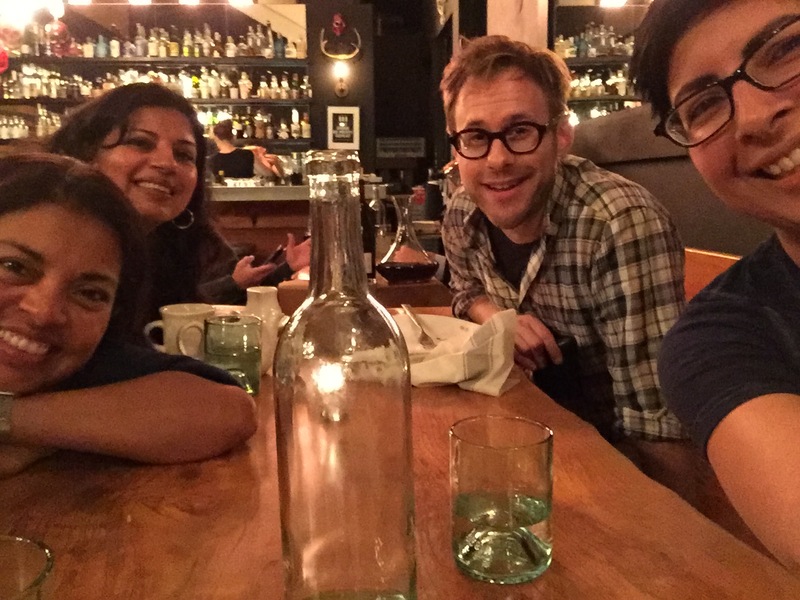 Last night I had a magical experience. 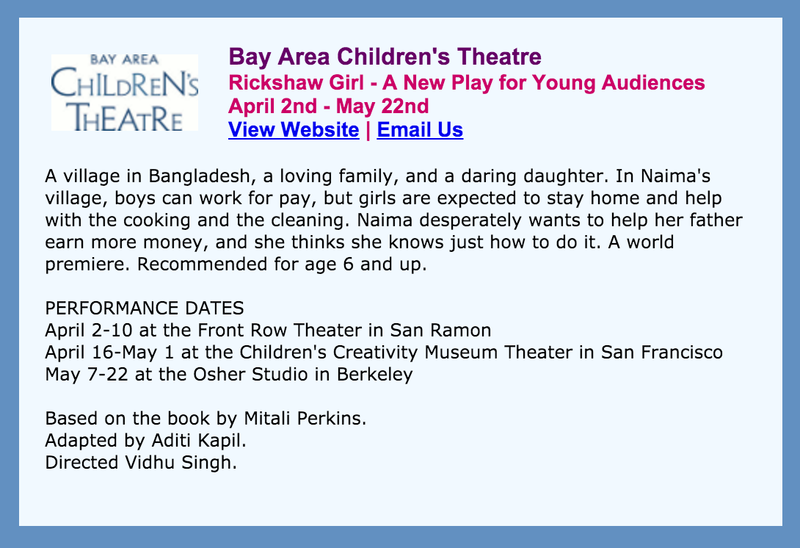 I was invited to attend a workshopping of RICKSHAW GIRL, the stage version, by the Bay Area Children's Theater (BACT). Playwright Aditi Kapil was in town from Minnesota to work with director Vidhu Singh, and our evening started with dinner at Toast in Oakland. 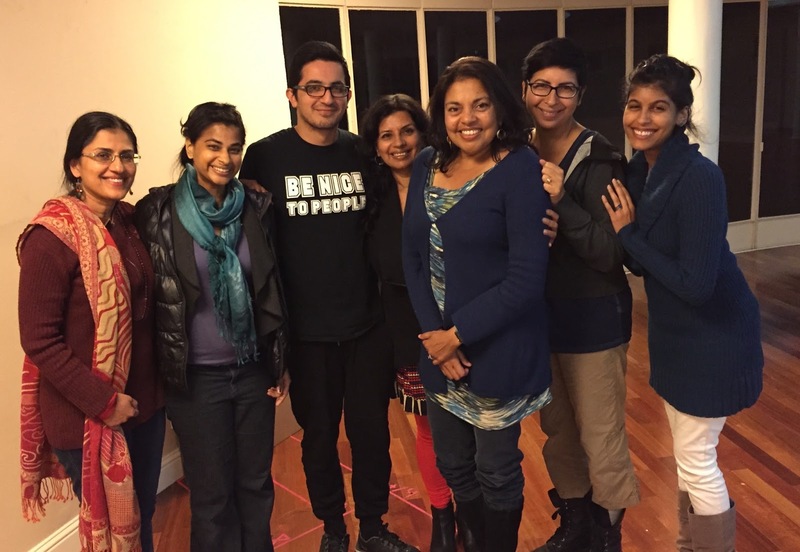 After dinner, we headed to BACT headquarters in Montclair, Oakland, and the talented team of actors, director, producer, and playwright began to work through the script. When you create a story in your head and people it with characters who exist only in your imagination, it is otherworldly to see them come to life. 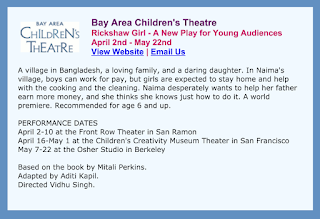 As I listened in wonder, I found myself moved by the plight of a young Bangladeshi girl who wants so desperately to help her family. 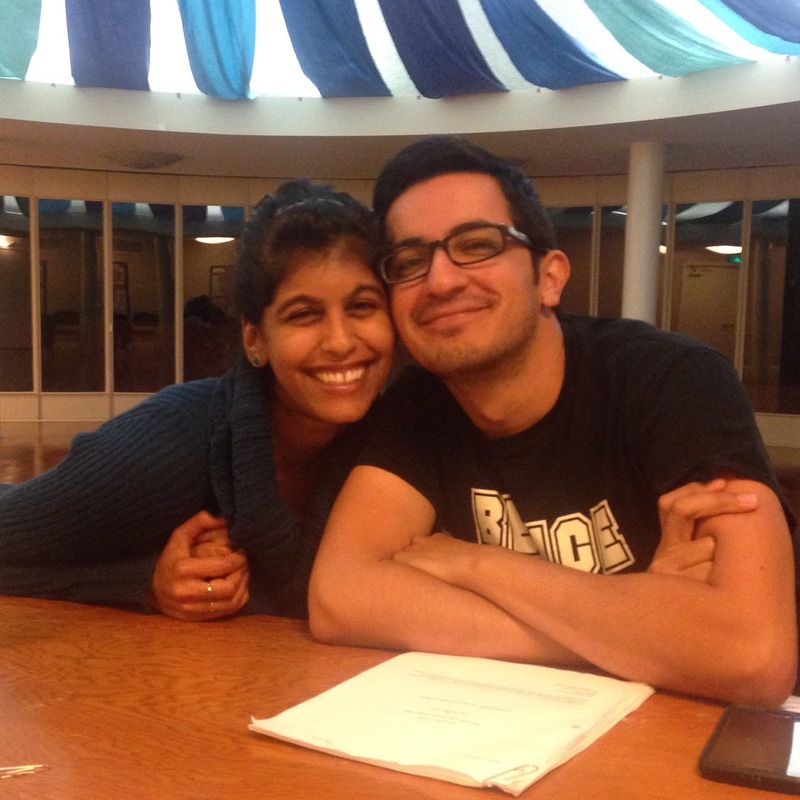 I had written the darn thing, but last night Naima's story was presented to me in a fresh and sweet form. It was the same; it was completely different. It was magic. 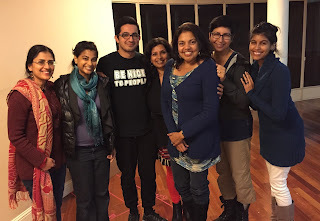 Aditi's amazing script adds song, dance, staging, character depth, pacing, and emotional resonance to the story. 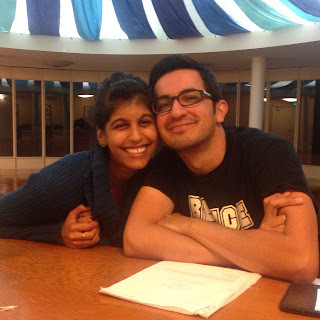 The actors who play the main characters, Naima and Saleem, are as adorable in real life as they are in this picture. "What is scansion?" wondered the theatrical neophyte. In silence, of course. 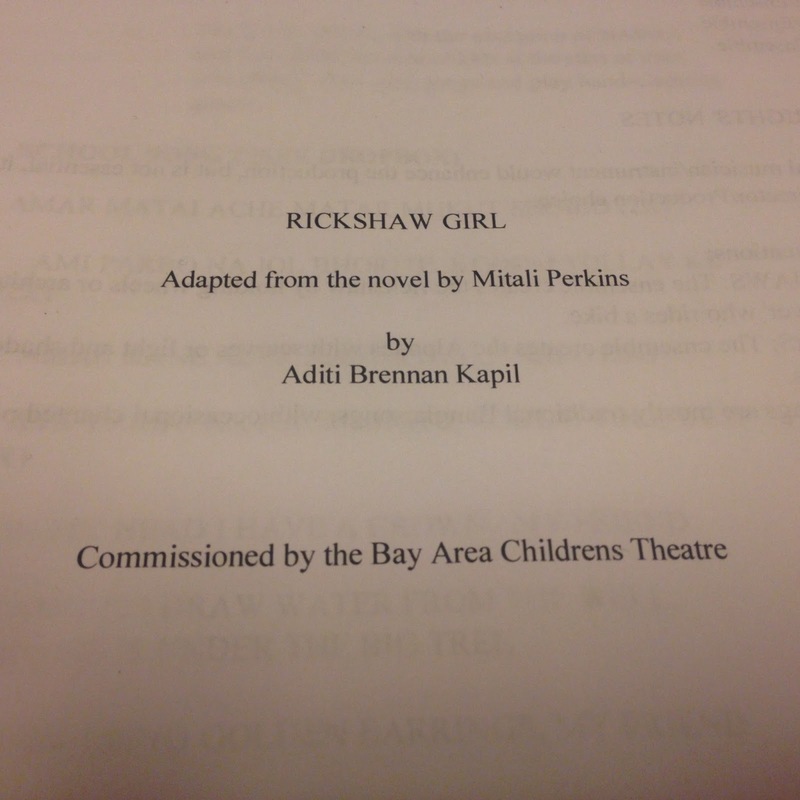 Here's the first read-through of the rickshaw crash scene. 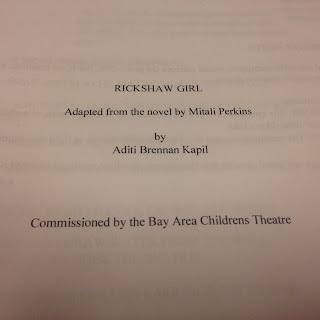 The RICKSHAW GIRL team: actors, director, author, and playwright.